With Wonder Woman gearing up to begin production next month, we’re getting a better sense of what to expect from the Amazon warrior’s first solo cinematic adventure. We’ve know for several years that Gal Gadot will play the DCEU’s Diana of Themyscira, Chris Pine was cast several months ago as love interest Steve Trevor, and multiple reports have indicated the movie will feature different time periods. Now there’s new information reiterating that we might see classic foes Circe and Ares as the main antagonists. JoBlo has heard that Circe and Ares will be allied against the heroine in Wonder Woman, though Ares is more of a "puppet master" working behind the scenes. Ares will wear his standard mythological armor, while Circe’s attire is described as a "cloth-based purple get up." Among the many mythological/mystical creatures that are said to appear in the movie is an army of "red or green demonic monsters with horns and wings" that Ares will send to prevent Wonder Woman from stopping Circe. Speaking of her, it’s said she’ll turn into a "Chimera-like monster" during her battle with Wonder Woman in the finale. It was also mentioned that there are scenes set in World War I that show how Diana defeated Ares the first time, though it’s unclear whether these will be flashbacks or take place early in the story. The information lines up closely with a report released last month, which also said that Eva Green and San Bean are being looked at to play Circe and Ares, respectively. Circe and Ares are among Wonder Woman’s greatest enemies in the comics (arguably ranking only behind The Cheetah), both of course being based upon the same-named Greek mythological figures. Circe is a powerful sorceress whose magic lets her do things like conjure illusions, shape shift, and control minds, but her main schtick is turning men into animals. Her most notable appearances in other media have been in the Justice League Unlimited episode "This Little Piggy" and the video game DC Universe Online. 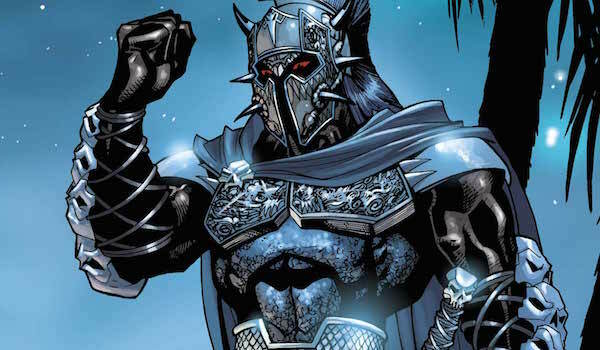 As for Ares, as DC’s God of War, he loves battle for the sake of it and wants to see the entire world plunged into eternal war. The New 52 Ares depicted him as an older-looking protagonist who had a sibling-like relationship with Wonder Woman, so clearly the movies Ares would be inspired by the hulking, menacing version who existed decades before DC’s big reboot. He’s previously been seen in the Justice League Unlimited episode "Hawk and Dove" and the 2009 animated movie Wonder Woman. We’ll have to wait and see whether these villain reports are legit, but assuming they’re true, it sounds like Wonder Woman will primarily be fighting Circe in this movie, and despite defeating the sorceress, Ares will evade capture and return to antagonize her in a potential sequel. Given how much this movie has been said to be rooted in mythology, it makes sense that Diana’s first enemies would be from "her world" rather than a nemesis that’s rooted in regular Earth science or outer space. Wonder Woman hits theaters on June 23, 2017, but you can catch her first DCEU appearance next year in Batman v Superman: Dawn of Justice.